They manage the school and coordinate all language courses. They teach Italian and ESOL. Gisa has been teaching languages for over 25 years. After graduating in Modern Foreign Languages in Italy, she moved to Sofia (Bulgaria) where she taught at the private school of the Italian Embassy. From 1992 to 1997 she taught Italian and Italian literature at the Italian Lyceum in Sofia. She moved to London in 1998. 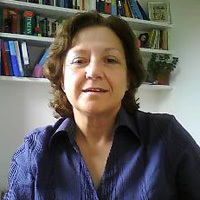 Her teaching experience includes delivering courses from beginners to advanced level for major companies in the City of London and teaching Italian to British officials and diplomats, as well as planning and delivering courses for students taking business Italian exams. She was also an examiner for the OCR – CBLC Italian exams. She has taught Italian to adults in a variety of settings (Adult and Community Education), from Complete Beginners to Advanced, as well as conversation classes and Business Italian. After qualifying as an English teacher, she worked as a volunteer teaching assistant in Sutton with beginners and intermediate level students. Her experience includes teaching ESOL to Spanish and Portuguese speakers at beginners level as well as ESOL and ESOL with Literacy to Bengali and Arabic speakers in mixed level classes. She has been teaching ESOL to adults for over 5 years. Roberto moved to London in 1999. He has ten years experience as a language teacher in Further and Adult Education. He has taught Italian in various colleges and universities, from beginners to advanced levels, including Business and Conversation courses. In 2005 he travelled around Central America. He worked for a year in Panama as a teacher of General English to high school students and to adults, from beginners to upper intermediate levels. He also taught technical English to undergraduate students of Travel, Tourism & Global Communication. Back in London, he worked for two years as an ESOL teacher and administrator for Learndirect. He was also responsible for learners’ induction and assessment and he was a course facilitator for Adult GCSEs (English and Maths). 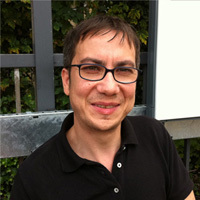 He currently teaches Italian at a well known Adult Education College in Central London.